The Forgetting Time by Sharon Guskin is a Richard and Judy Book Club choice this Autumn. Mantle Associate Publisher, Sam Humphreys is here to tell you why you need to read this book this Autumn. 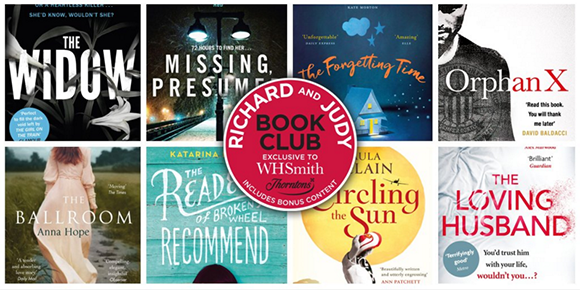 we're delighted that the forgetting time by sharon guskin has been chosen as a richard and judy book club choice. mantle associate publisher, sam humphreys is here to tell you why you need to read this book this autumn. i want you to imagine for a moment that you have a son. he’s called noah and he’s four years old and you – because you’re his parent – love him more than life itself. now imagine he wakes in the night, most nights, crying. you go to comfort him, but he doesn’t want you. he wants someone else. he wants his real parent. his real mother. his real home. it breaks your heart when he pushes you away, but even worse, you know his heart is breaking too – and you’re powerless to help. that’s the starting point of the forgetting time by sharon guskin: a little boy who wants to go home, but who’s already there. a mother who’s at her wits’ end. and someone who might be able to help – except he’s in no position to, because he’s slowly losing his grip on the world. what else can i tell you about it? it’s a story about love. about being a parent. about life and death. and it’s about what happens when you remember things you’re meant to have forgotten. jodi picoult called it explosive. kate morton said it was irresistible. diane chamberlain that it was gripping. and téa obreht called it remarkable. which is another book about death and life . . .
that’s pretty much it – except to say that i hope you love sharon’s debut novel as much as i do. either way, i’d love to hear from you: i’m on twitter @samjhumphreys1. 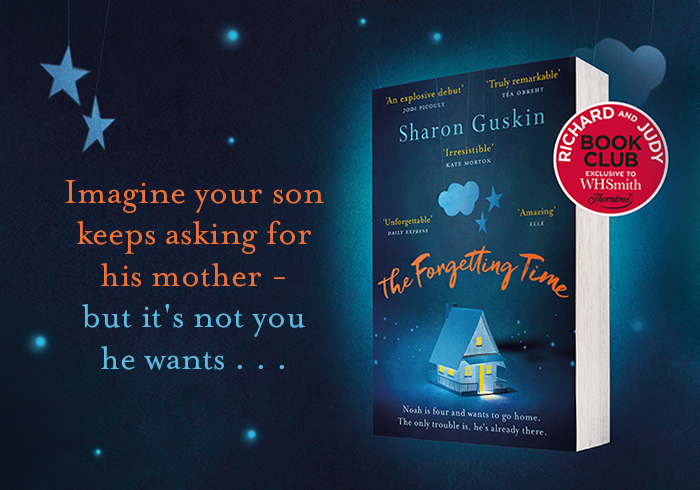 the forgetting time by sharon guskin is out now. not only that but we'll send a short story from one of our favourite writers, diane chamberlain, straight to your inbox to welcome you to our community of book lovers.